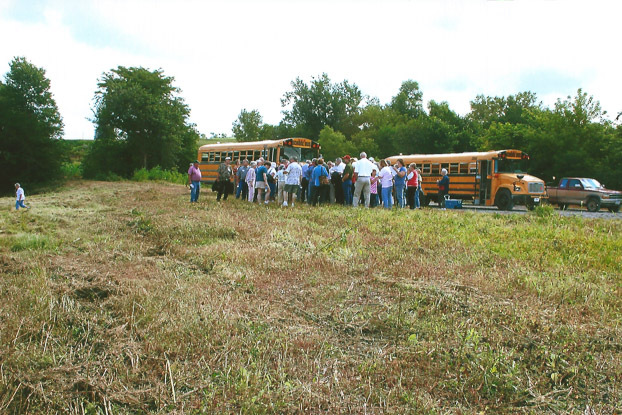 Two busloads of people tour Buxton Park near what was formerly downtown Buxton IA. The buses are parked on what was once the railroad bed. The 1918 viaduct is located between the gap in the trees on the left. The ruins of the warehouse are not visable but are located to the left also.